What do you do with a loose $74 million? You buy ‘The Holy Grail of classic cars’, the classic Ferrari 250 GTO, that’s what you do. 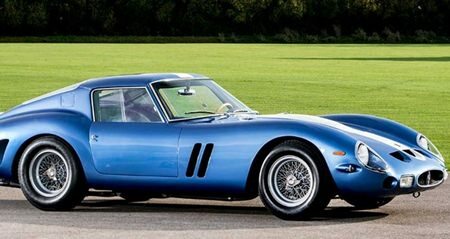 As one of the world’s most sought-after classic cars, UK Ferrari specialist Talacrest predicts the one they have will become the world’s most expensive car; making it on to the free market for the first time in more than 20 years. The 1962 classic was the second to roll off the Ferrari production line and is one of only 36 ever made. It was raced at Le Mans and in spite of it being more than half a century old, it is capable of a top speed of more than 274 km/h. It was used by the Ferrari factory for testing before it was sold to Luigi Chinetti and his legendary North American Racing Team (NART). John Collins, who runs Talacrest, said he had been looking for a 250 GTO “for a while”. He said the sale of Ferrari 250 GTOs usually only happened behind closed doors, but already he had fielded interest in the car. Collins said he expected a surge in investment interest following the US election and the purchase will secure a spot for the new owner on the Ferrari 70th anniversary tour next year. Bonhams sold a Ferrari 250 GTO at a US auction in 2014 when it went for $50 million. Two years later, rarity and inflation sees a price tag of $74 million! Malaysia deserts the sinking ship? The Malaysia sports minister admits their F1 race could be dropped as hosting fees rise and interest diminishes. According to the New Strait Times, a special meeting is to be held with the major stakeholder in the Sepang International Circuit which first hosted a round of the world championship in 1999. It is claimed that as hosting fees continue to rise 10% year on year, ticket sales have declined since 2014, sales consistently falling by 10%. By contrast, Moto GP consistently sells out, with last month’s event attracting 90,000 spectators. Meanwhile, Razlan Razali, chief executive at the Sepang International Circuit, claims this year’s TV viewing figures of the race were the “worst in its history”. While admitting that there is a “watertight” contract to hold the race until 2018, Razlan insisted that a meeting has been convened to decide its future. Further to Razali’s outburst, none of his statements are a surprise, as the spectators have been saying all that for some years, and the FIA’s ideas to ‘artificially’ spice up the racing does nothing other than devalue F1. Such concepts as 40 grid place penalties in a 22 car field is just ludicrous. And for that matter, introducing hybrid technology has not been a success. It has been an expensive failure. 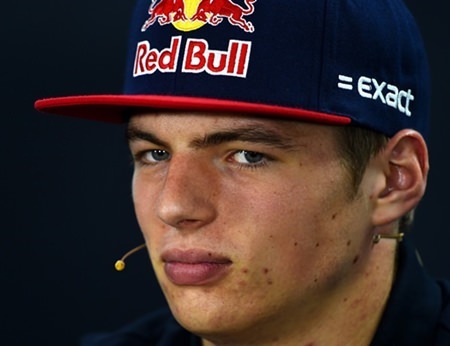 Spectators do not care what engine a car has got – spectators want to see drivers competing against each other, which is why Verstappen has become so popular. He at least has a go! General Motors Chevrolet brand said it plans to introduce more than 20 new or significantly refreshed vehicles in China by the end of 2020 as part of its growth plans for one of its global brands. The Detroit automaker said nearly 30 percent of the vehicles would be SUVs and almost half would be new entries for the China market. The offerings also include vehicles with turbocharged engines, diesels (again), hybrids and plug-in hybrid electrics. GM said most of the new vehicles will be made in China by the company’s SAIC-GM joint venture, with many refined for China by the automaker’s Pan Asia Technical Automotive Center joint venture. GM said at least five vehicles debuted this year, including the Malibu XL, the Malibu XL Hybrid, the new Cruze, a Cavalier family sedan and the sixth-generation Camaro muscle car. China is the second largest market for Chevrolet and overall is GM’s largest sales market. Last year, Chevy’s China sales fell 9.7 percent to 612,024, which GM said mainly was due to model changeovers. Chevrolet sales this year through September in China totaled 346,920, down nearly 21.6 percent from the same months in 2015. Last year, GM said through 2018 that it would invest $14 billion in new vehicles, manufacturing facilities and other areas of the business in China. It also announced in 2015 that it would invest $5 billion to strengthen the Chevy brand in global growth markets, including China. With the telecast of the race from the Circuit of the Americas (COTA) being at a most unsociable hour, starting at 2 a.m. I missed the visual spectacle. From all the reports I have read, it tended towards boring, as many of the GP’s have been this year. Hamilton had a good start for once and never put a wheel wrong. However, in the post race interviews he played for sympathy, saying he was worried all race long that the car might fail to reach the finish. Oh, the poor dear! How long has he been racing? He should know that motor racing is 90 percent frustration and 10 percent fun. I hate to think how many races I’ve lost through engines with a hand grenade inside and gearboxes with teeth missing! So to Mexico, and my perch in Jameson’s. Mexico suffered the same fate as the COTA being telecast here at 2 a.m. I don’t need Horlicks at that time in the morning, so I’ll read all about it on the Monday. While the UK is cheering Hamilton towards a possible 4th World Driver’s Championship, his po face when he doesn’t win turns me right off! With the way the points are at present, the championship is Rosberg’s to lose, while Hamilton needs wins and preferably a Rosberg DNF. Last week I mentioned a car was penned in the US by a famous designer, but ended up being moved to Canada. It is 53 years old, but you can still buy a new one. The car held many records from Bonneville, including a 170 mph pass. Who was the designer, as well as what is the car? It was the Studebaker Avanti designed by Raymond Lowey. So to this week. There was a device which was used in the early days of motoring to stop the car running backwards on hill starts. What was it? Is my Mobileye still looking after me? MG on the way up? What’s the old nail worth?